The Research Centre for Agrobiology and Pedology of Florence (CRA-ABP) carries out research on the soilecosystem functions and their conservation, through the study of physical, chemical, biological and mineralogical characteristics and processes, as well as soil genesis, classification, degradation and mapping, aimed at a better sustainability and quality of agricultural and forest production and services. environmental effectiveness of EU Common Agricultural Policy (CAP), participatory management methods, social impact assessment. 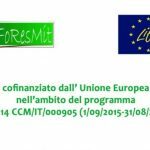 The Forestry Research Centre of Arezzo (CRA-SEL) deals with applied research and sustainable management of the forest environment. It acts at national level in the field of applied research and scientific support to public and private bodies, especially concerning: (i) the management of natural forests, reafforestation areas and secondary forests, (ii) forest ecology, (iii) the dynamics of tree and stand growth and structure, (iv) tree farming on set-aside land, (v) monitoring of forest ecosystems, (vi) restoration, maintenance and improvement of biodiversity, (vii) preservation of genetic resources in situ and ex situ. tools and initiatives for transferring knowledge in the forest sector. Decentralized Administration of Macedonia & Thrace, superior authority of the forest services at Xanthi region. The Decentralized Administration is a step of the Greek public administration responsible for the implementation of government polices at regional level. The Forest Service of Xanthi, is responsible for the protection, exploitation and growth of forestal resources (forests, forestal territories, pasture lands, hunting etc.) aiming at the cover of needs of country in timber and other products and services of forest. Directorate for Forest in Xanthi is the superior authority of the two forest services (Xanthi and Stauvroupoli) and is responsible for the control and the proper operation of the forest services and the engraving of the forest policy in the region. The Department of Forestry and Management of the Environment and Natural Resources (FMENR) carries out graduate and postgraduate teaching and is involved in research projects. The staff has long-time knowledge of research on the development, improvement, protection and management of forests and forest lands and the natural environment. 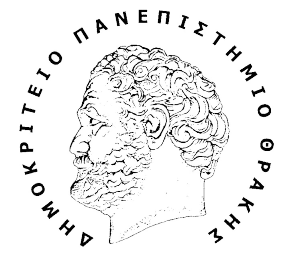 The Department also organises lectures and seminars, national and international conferences, and encourages scientific cooperation and exchange with corresponding laboratories of Greek and foreign Organisations, Institutes, Universities, Companies and other public and private enterprises. The mission of the Department is a) to provide education in Forestry and Management of the Environment and Natural Resources; b) to undertake significant, innovative research on sustainable management of forests, and the environment, on biodiversity, on climate change impacts, on conservation and protection of the environment; c) to enhance terrestrial ecosystems and wildlife resources for the benefit of people and nature. The Province operates with the main objective of the creation of development for employment and a better quality of life for people. This development, however, “sustainable”, ie which does not produce damage to the environment and allowing the conservation of land resources and environment for future generations. Development “solidarity”, in which the most vulnerable can grow along with the entire company. For this purpose it is intended actions in the various sectors that directly affect the development (planning, infrastructure for mobility, environmental policies) and all provincial resources. administrative aspects and promote the emergence of new businesses, vocational training interventions.